Disinformation campaigns and ‘fake news’ have emerged as a real and present threat to democratic elections around the world. This year Indonesia is set to return to the polls for a general election and Presidential race, featuring incumbent President Joko “Jokowi” Widodo and Prabowo Subianto, a former army general. The race has since intensified as the poll date of April 17 fast approaches, and so have the efforts of anonymous disseminators of misinformation to manipulate the outcome. The question is; how can Indonesia head off a threat that could undermine the election? With a population of more than 260 million people, Indonesia is one of the world’s largest democracies. It is also South East Asia’s biggest user of social media and the fourth biggest user of world-wide of platforms like Facebook and WhatsApp. Despite this, a lack of digital literacy could make Indonesia widely susceptible to disinformation efforts. When President Joko Widodo was elected in 2014, his campaign made history in Indonesia through its coordinated use of social media. Since then, the global social media landscape has changed significantly, with more people using social media as their main source of news. According to the Google Play app rankings for Indonesia, WhatsApp Messenger tops out the list. The city of Jakarta was even named as the fourth most connected city on LinkedIn. You don’t have to look far to see how social media is changing political landscapes. It’s been a catalyst behind populist movements in both developed and developing democracies. The Oxford Internet Institute has been monitoring these changes, in particular, tracking the rise of disinformation campaigns. News feeds, once seen as a tool for sharing information, have proven susceptible to fake news, organised by hidden actors with unknown agendas. Indonesia itself has been no stranger to the consequences of disinformation. The divisive 2017 Governor’s election in Jakarta, and subsequent imprisonment of former Governor Basuki Tjahaja Purnama, also known as ‘Ahok’ on blasphemy charges was seen as sharp reminder how disinformation could be weaponised. The charges were laid after an edited version of a speech by the Governor went viral, leading to a mass protest. A police investigation launched following Ahok’s imprisonment uncovered a fake news syndicate, who were alleged by police to have coordinated the spread disinformation during the 2017 election. The network made use of a reported 1,500 fake Facebook accounts, in order to spread disinformation. The investigation culminated in the arrests of five suspects including the leader of the group, Jasriadi, who was sentenced to two years prison for offences relating to hacking. Although not the only cause of Ahok’s downfall, the events demonstrated how misinformation could galvanise Islamic sentiment across Indonesia. If Ahok’s imprisonment provided any lesson for Jokowi, it revealed just how vulnerable he was to attacks on religious grounds. Disinformation shared by opponents stoke the flames of xenophobia; to paint the President as a Communist, Chinese and a Christian. Jokowi has shown an ability manage the risk, choosing to nominate the hard right Islamic cleric Ma'ruf Amin as his running mate. How effective the strategy is and how beholden Jokowi is to the Islamic right remains to be seen. Some policy experts have outlined the strategic risk Indonesia poses if hard-liners make further inroads to dominate politics. Earlier this year, Joko Widodo revealed a plan to grant radical Islamic cleric Abu Bakar Bashir a remission on health grounds. The plan was quickly dismissed following pressure from a number of countries, including Australia. Can Jokowi manage the risk? In many ways, the concessions to the Islamic right are President Jokowi’s attempt to insulate himself from the similar attacks to those suffered by Ahok during the Jakarta governor election. Recognising the growing risk, President Jokowi has taken on the fight. In 2016, he established an Anti-hoax Monitoring Body, together with the Minister for Communications and Information Technology, Rudiantara, running a seventy-person strong ‘war room’ 24 hours a day. The following year, Rudiantara revealed a plan to amend the Information and Electronic Transactions Act. It imposes penalties on social media platforms, who allow content deemed to be illegal such as disinformation, to spread across their networks. The Communications Minister has argued that the laws are not dissimilar from Malaysia’s anti-fake news law. Jokowi appears to have public support for the plans. One survey by Lingkaran Survei Indonesia revealed that almost 75 percent of people are concerned about the spread of fake news on social media and want it to be removed. Human Rights Watch have criticised the plan’s broad use of language, which fails to define what is ‘illegal content’. The laws have seen internet users prosecuted for acts associated with sharing libelous, immoral and pornographic content. The consequences have been no more notable than for Ratna Sarumpaet, one of Prabowo’s campaign staffers. Indonesian police named her as a suspect for allegedly spreading fake news, which led to a public retraction of her claims. President Jokowi leapt on the opportunity to use her case to push back against the proliferation of fake news. How are social media giants responding? In January this year, WhatsApp’s vice president for policy and communications, Victoria Grand announced a new limit to message forwarding to help reduce the spread of misinformation. The plan followed a shutdown of a second disinformation network, known as the Muslim Cyber Army. The organisation used the app to coordinate and disseminate fake news. WhatsApp, which is owned by parent company Facebook Inc. is one of the leading messaging services used in Indonesia. Facebook has been under scrutiny for the role it played as a platform during the 2016 U.S. election and the revelations that it shared user data with the British political consulting firm, Cambridge Analytica. Just this month, Facebook’s head of cyber security Nathaniel Gleicher announced the removal of a number of accounts related to fake news and hate speech. After coordinated disinformation campaigns plagued the 2016 Presidential election in the Philippines, some civil society groups have advocated regional approaches to fighting misinformation. During the 2018 East Asia Democracy Forum, media groups, fact-checkers and digital rights advocates from across the region came together for a 3-day collaborative workshop, on how to identify solutions to fight disinformation. They recommended establishing dedicated election monitors to watch disinformation campaigns during elections and questioned anti-fake news laws that could undermine freedom of expression. Many of Indonesia’s news media organisations have also stepped up to fight against the proliferation of fake news. Organisations like Mafindo, a civil society fact-checking unit and its collaboration with Tempo Magazine’s Cekfakta. The websites help to identify fake news stories and misleading viral social media posts. In addition, the Indonesian Press Council has also introduced verification ticks, allowing readers to identify trusted news outlets. There are also crowd based fact checking groups which have emerged, such as Forum Anti Fitnah, Hasut, dan Hoax, as have new digital literacy programs aimed at young people. As the April election nears, it will be interesting to observe how disinformation could affect the process and outcome. As one of Australia’s closest neighbours and one of our regional partners, the Indonesian election may provide some valuable insight into how other ASEAN nations can combat this emerging issue. 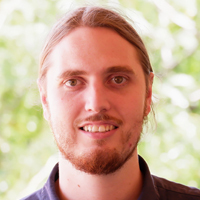 Coel Healy is a Researcher at the Perth USAsia Centre and student at ANU. He has previously written for Coconuts Media in Jakarta.